Simple, feature-rich Learning Management System that creates an engaging and competitive learning environment. Employees can plan their training and quickly achieve the required certificates while minimising company’s expenses. Collect data across all HR and legacy systems. Guide your staff in the right direction with career mapping tools. Better understand staff competencies. Generate automated certificates and expiry notifications. Make the learning process less daunting using our gamification and collaboration tools. Allow staff to set clear training goals and track their progress. see the latest features, and get your questions answered. If the client needs to change data fields or switch to a new HR software, the system becomes unusable and all the data needs to be flushed, which is both expensive and time-consuming. My Learning Hub allows admin users to update data fields as and when required. Reporting tools are not robust enough and do not generate data as promised or lack customisation options. We understand that it is not about the list of reports that a system can generate, but what the user can do with this data. Many LMS systems are unable to keep up with corporate evolving needs. Once the logos and themes have been set, they cannot easily be updated. My Learning Hub comes packed with white-labelling settings as standard, allows you to choose what level of customisation you want and update it in case your company goes through re-branding. Management Teams find it difficult to get a full list of notifications which are generated in the system and are unable to edit the text without having to contact technical support. My Learning Hub allows admin to view, edit and select which users should receive notifications and how they should be sent to them (e.g. Email and SMS) all on one page. 95% of the organisations we contacted have experienced hidden costs and were asked to pay for software upgrades. LMS providers charge a relatively low entry price and are not clear about what is included in the package. We understand how frustrating it can be when you are unable to predict the costs of maintaining or updating your LMS. At My Learning Hub you don’t need to pay extra or wait until the contract renewal to receive your LMS upgrade. We are crystal clear about our pricing and what is included in your subscription package. All software upgrades are free, integrations are included and there are no hidden costs. You are in full control of how much you want to spend on technical support and custom development is completed at a fixed cost. End users do not receive enough training and quality reviews, the workflows are complicated to understand and many staff members find it difficult to go through lengthy PDF manuals. We do not over-promise and guarantee to deliver on our Service Level Agreement. Scrolling through pages of written manuals is a thing of the past. We give all of our clients access to a library of scenario-based videos which show how each feature works and 3 months of complimentary technical support after the system goes live. Our enterprise clients benefit from customised videos made specifically for them, a dedicated account manager and unlimited technical support throughout the full duration of the contract based on a custom Service Level Agreement. Management of Compliance Training requirements is an important element in supporting Coillte’s Health and Safety, Environmental, PEFC, FSC and ISO 18001 standards. This process was previously carried out manually and the systematization of this same means that training standards are set out clearly for managers and contractors. Reports made it easy to track compliance and automated reminders made it less stressful managing refresher training. My Learning Hub delivered on all our requirements and adjusted the system along the way with minor changes completed at no additional cost. The My Learning Hub Team worked effectively with our Project Managers to ensure all major changes were delivered within budget. We take customer support seriously and fix costs throughout the duration of the contract, to make it easier for our clients to plan future expenditure. This helps our customers easily manage future budgets and make sure they can meet their staff training and development needs. Sign up for a free 14-day trial and experience your learning workflow the way it should be. Employees are indeed the lifeline of an organization. How do you headhunt an exceptionally talented and competent staff member in a batch of over 2,000 employees, whose capabilities could generate tremendous revenue growth, innovation and ROI for your business? Use My Learning Hub to reduce HR overheads and easily manage staff Learning and Development. Trust our teams’ wealth of experience in deploying LMS systems to deliver a feature rich solution to increase staff retention, competencies and engagement. Our Learning Management platform can be implemented in manufacturing, hospitality and retail industries, providing engaging e-learning content and personalised training. We offer machine learning technologies along with industry-leading predictive analytics. After extensive market research and consultations with Learning and Development experts to help better understand issues in the current industry My Learning Hub Learning Management System has been designed to resolve such obstacles for business and public sector organizations. Rest assured we are certified G-Cloud, Crown Commercial suppliers and compliant with Cyber Essentials and ISO9001 and ISO27001 regulations. Interactive, Engaging and full of Collaboration features. 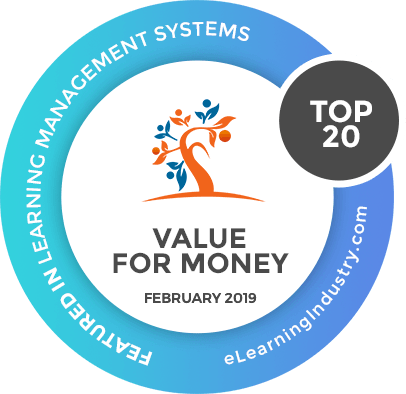 My Learning Hub is a top LMS system which empowers the management team with essential tools to train their staff effectively. Engaging and encouraging your employees not only helps managers extract the best out of staff members but also motivates employees to perform exceptionally well in their job roles and training. Powerful Reports. Our LMS makes it possible to control real-time updates by means of keeping track of your workflow data and progression rates. The platform provides simple and easy-to-use reporting templates. Our reporting tools will enable your organization to analyze the crucial link between talent, engagement and the effect these have on business profitability and productivity. Gamification. Learners are more motivated to interact with course material when content is combined with gamified elements such as rewards, badges and points. This tool allows line managers to track the top five performers and reward them for outstanding performance using leaderboards. Career Roadmaps. This tool allows to guide staff in the right direction to achieve their career goals and explains to them what next steps need to be taken to move up the ladder. Authoring Tool. Our authoring capabilities will allow you to take existing SCORM courses or any training materials such as Word documents, hand-outs or slides that you may have developed over the years and easily drag and drop them into a course editor where you can insert visuals, animations, engagements and multimedia. When the course is ready, you can export it into HTML5 or SCORM in just minutes. My Learning Hub is committed to delivering excellent quality of service to all clients.